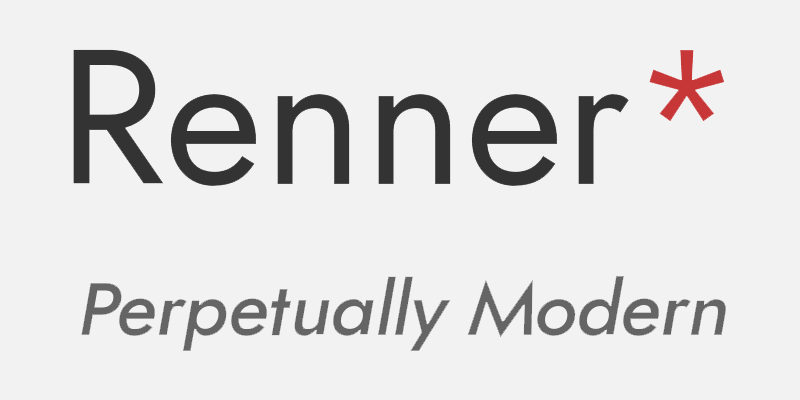 Renner* is a font for the digital age. It's based off of the work of Paul Renner, the designer of Futura. Renner* is an origonal font that aims to keep the attitude of Futura rather than the exact design. Futura was designed to be functional in its day and in that spirit, Renner* aims to be as functional as possible in the digital era. For that reason it deviates from the exact designs of Paul Renner, favoring, for example, a larger x-height. It also includes features, many of which would not be possible in the era of Paul Renner. Renner* has 9 weights, ranging from Hairline to Black. It can support many languages, includes stylistic alternatives, and both tabular and proportional numbers. Please consider paying for Renner*!